When Spring Break rolls around, you might be among the myriad Houston families searching for ways to keep themselves entertained. Many museums, educational centers, and gyms in the Houston area are opening their doors to school-aged children and providing a week's worth of supervised fun and learning in a safe environment. Kids ages 4 to 12 can come to the Houston Arboretum during spring break to hone their outdoor skills by learning about orienteering, knot-tying, or wildlife biology, as well as participate in camp crafts, leadership exercises, team-building challenges, and much more. Full day and half-day registration options are available. Fees start at $155 for members for a half day and $285 for full days. At the Evelyn Rubenstein Jewish Community Center of Houston, spring break day campers can choose a specialty track to follow or choose to take a combination of two or more tracks, including gymnastics, tennis, dance, and sports. Indoor swimming opportunities are also provided, as well as arts and crafts, special projects and a variety of activities. Hours for the camp are 9 a.m. to 3:30 p.m. and fees are $75 per day or $350 for the week. Campers attending camp and classes at the Art Mix Creative Learning Center get to create art using a wide range of media, including paints, clays, pencils, and collage methods. The center offers a variety of ways to enjoy the camp with experiences ranging from full days to just a single hour. As a result, prices vary widely, but registration fees range from $25 for an hour to $140 for the full day. The center is also located in Houston's Upper Kirby/Greenway neighborhood, near Westheimer and Wesleyan, making it a convenient en-route stop for families living on the west side of Houston who commute downtown for work. Spring Break at the Nature Discovery Center in Houston is all about — well — nature. 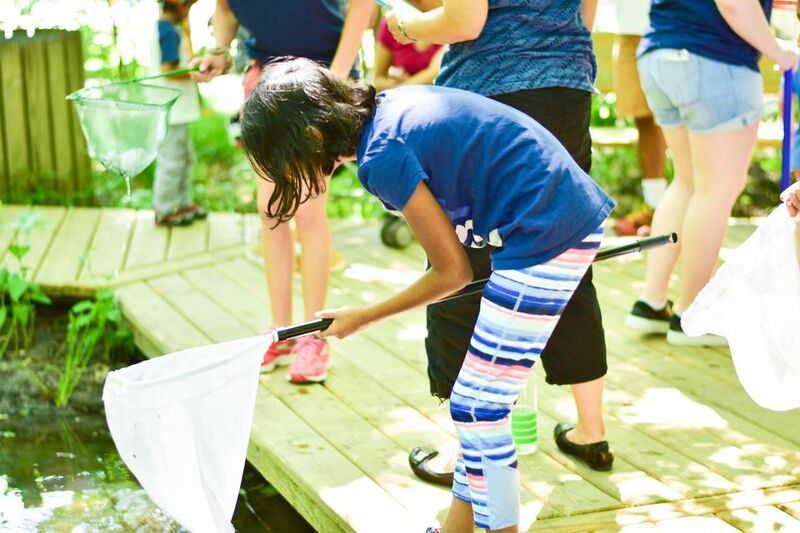 Kids ages 5 to 10 learn about a wide variety of interesting creatures, plants, habitats, and ecosystems as they go on hikes, traverse obstacle courses, and participate in a ton of hands-on activities that are both fun and educational. Camps typically go from 9 a.m.-3:30 p.m., and aftercare is available until 5:30 p.m. for an additional charge. The fees start at $49 per day for members, $59 per day for non-members and the after care is an additional $15 per day.